Racing doesn’t mean breaking the bank and with a Race Day Wheel Rentals from Yellow Jersey Cycle; and it doesn’t mean you have to be 2nd best either. 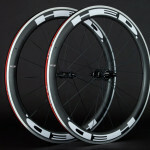 We proudly present HED Jet 5 Carbon Clincher with aluminum rim brake, 54mm deep for you to rent. The speed advantage of aero wheels, ease of use with aluminum rims, always reliable and the reputation of HED wheels, all in this 1681 gram package. Terms and Wheels Specifications are below. Wheel Rental Cost: $160 per weekend. Pick up Thursday, drop off Tuesday. (Home delivery and pick up of your rentals is available at an additional cost). Please inquire. Customer is responsible for damage due to mis-use or accident. Wheel rental availability is limited so book your race weekend today and secure your reservation with a credit card. Cancel up to 1 week in advance of pick up day with no charge. Cancel by Tuesday, 50% charge. 100% charge there after. $20 per day late fee. Rental wheels will have Vittoria Tires and Shimano cassette (10 or 11sp). Campagnolo option is available. Wheel bags provided. State of the art technology with a heritage of excellence built in. The product of 25 years of wheel making expertise, our Jet 5 Express wheel set has single-handedly formed a new class of wheel. 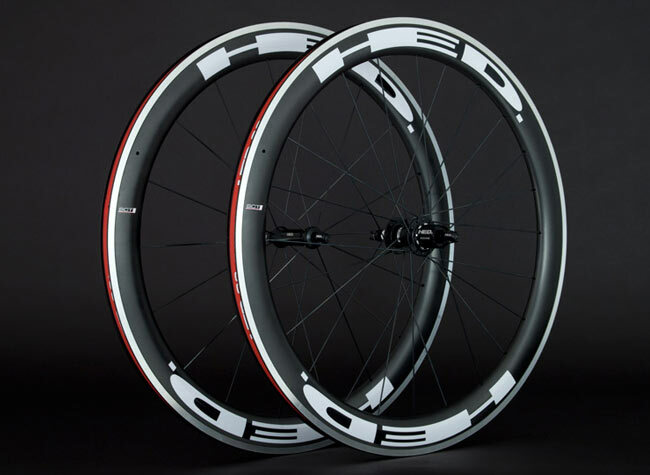 Built with today’s most advanced wheel technologies and the Hed tradition of building solid, dependable, aero wheels, and a price riders can afford. cutting-edge features such as our new light weight unidirectional carbon aero sections, ground breaking C2 rims, and sonic hubs, The Jet 5 Express is the high-performance wheel you’ve been waiting for. Want more details, see the link below.